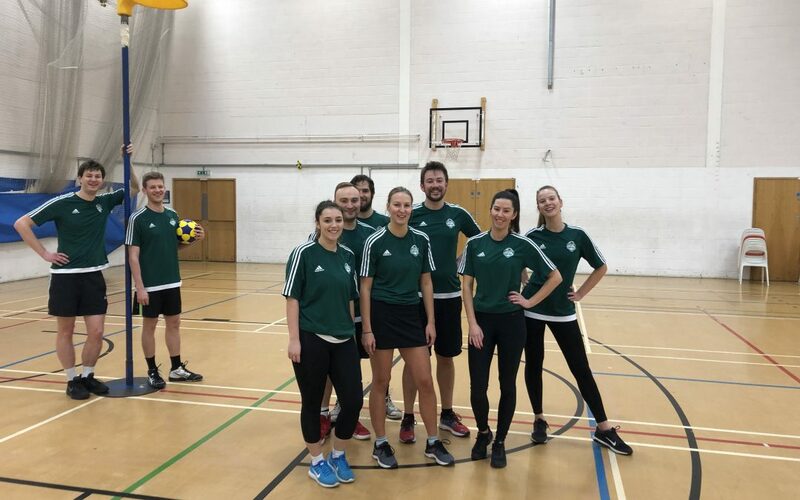 Following the heavy defeat of the previous week, South London Korfball’s Mitcham needed to make a statement. Highbury 4 made their way down to Tooting to play a team that was looking to make amends. Tom Higton, RIchard Watters, Jess Whiteand and Eloise Peck started in first attack; Jack Protheroe, Edwin Huijberts, Sarah Broadberry and Izzy Watterson started in first defence. Solo Mitcham scored with their first attack with a short shot underneath the post, 1-0. Highbury scored almost straight away with a distance shot. Jack Protheroe scored a shot, stepping round an over-committed defender. Both sides’ defence stepped up and it stayed 2-1 for the next 9 minutes. Highbury scored a drop off shot to level the scores and then scored the next one to make it 2-3. Tom Higton scored a drop off, but after the change of ends Solo shipped two quick goals to go 3-5 down. Jess White scored from a free pass (our first free pass of the season?) to bring it the deficit down to 1, but Highbury scored the next two. Jack Protheroe scored a distance shot to leave the scores at 5-7 going into half time. At half time, Richard Watters came on for Luke Broadberry. Solo Mitcham scored through Tom Highton after an interception. Luke Broadberry came on for Jack Protheroe after 5 minutes. Richard Watters scored a medium distance shot to bring the scores level. Highbury got their shooting groove back, scoring two in quick succession. South London quickly restored parity with a runner from Jack Protheroe and distance shot from Jess. A penalty scored by Edwin took Solo Mitcham into the lead for the first time since the first minute. Highbury scored another brace, but four goals – from Jess, Sarah Broadberry, Edwin and Tom took Solo Mitcham to a 14-11 win.